The Leprechauns had it right! Gold is one of the most precious metals known to man, and arguably, the most popular metal out there. 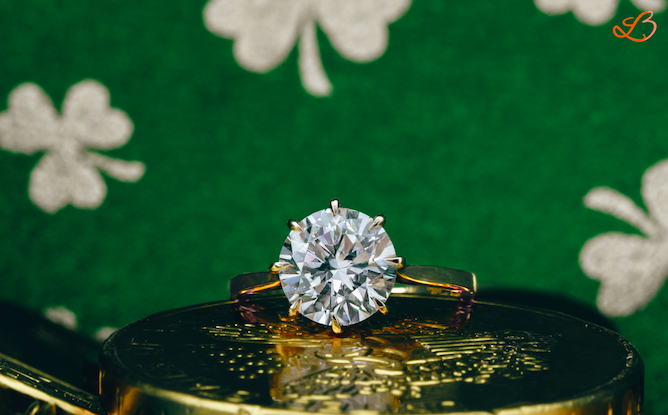 It has recently made a strong comeback in the engagement ring industry, but why did gold get so popular and how did this metal become the chosen one for engagement rings? Well our story begins in ancient Egypt 5000 years ago. Rings were used as a status symbol and Egypt was the first known culture to exchange rings of love. These gold and precious stone rings soon made their way to Greece where they were given to lovers featuring Eros, the god of love of his cherubs. But it is believed that it was the Romans who finally linked the ring to marriage. This St. Patrick’s Day, put on your green but also slip on some gold and take a walk back in history. There is no denying that rose gold is on the rise these days, and it doesn’t seem to be going away anytime soon. Everyone from Disney to Birkenstocks is picking up on this latest craze and customers can’t get enough. What is rose gold anyway? 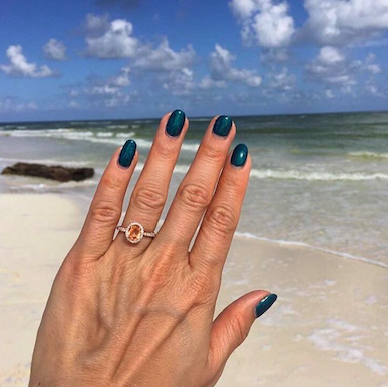 Rose gold is a combination of 75% gold, 21% copper and roughly 4% silver, and thanks to the added copper responsible for giving it that rosy color, it is an extremely durable metal making it an excellent choice for engagement rings and wedding bands. 18k rose gold is naturally less rosy in color due to the lesser amount of copper, where 14k rose gold is truly for those who are seeking a stronger rose or blush gold color. Rose gold gives a nod toward traditional gold rings, while offering an updated and alternative look and feel. It’s soft blush color has given it a reputation of being a romantic metal as well. Best of all, rose gold looks great with practically any diamond setting or can stand alone as a single band. 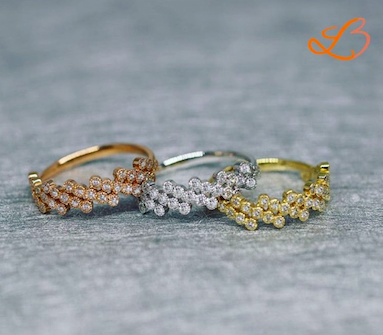 At La Bijouterie, we have a selection of rose gold engagement rings and wedding bands for you to try and gain some inspiration from. Compare rose gold to traditional gold, white gold or platinum, and learn which metal you like best. Another fun ring style is a stack of three metal bands, one rose gold, gold and white gold, or create a two-toned metal engagement ring. Are you as inspired by rose gold as we are? 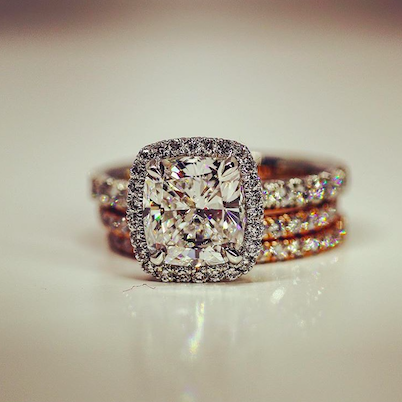 Leave us a comment below and share your thoughts on rose gold! The first month of 2018 seems to be flying by, but not as fast as these engagement rings are flying off the shelves. 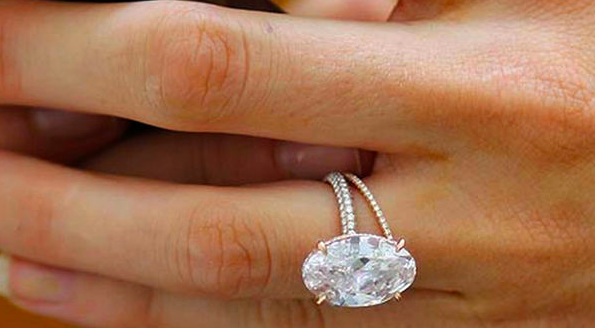 Have a look at the top engagement ring trends for the New Year. Thanks to Meghan Markle’s recent engagement to Prince Harry himself, it’s not the princess cut that’s topping the trend chart, but instead her three-stone diamond engagement ring. The great thing about three stone rings is they still leave a lot of room for creativity when it comes to the cut and color of each stone. 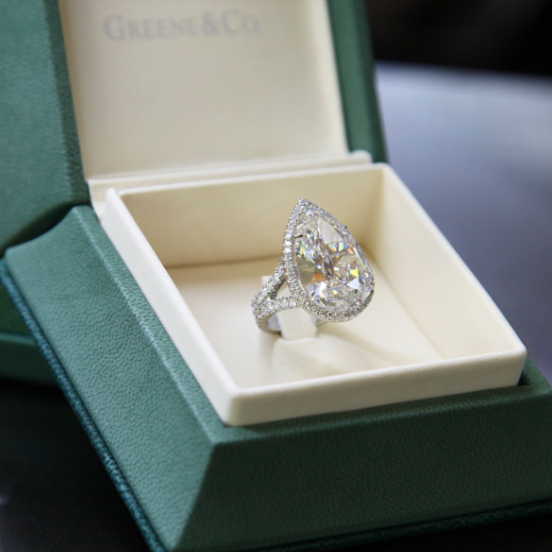 Ah yes, the stunning oval shaped diamond most notably made popular by Blake Lively. The great thing about an oval diamond is the fact that an oval cut is considered an elongated cut (same for an emerald cut), and elongated cut diamonds typically appear larger next to the same size round or square cut diamond. High grade yellow diamonds are even more rare than a highly graded clear diamond which seems to make it a celebrity favorite. Nicki Minaj, Kelly Clarkson, Iggy Azalea and Heidi Klum are some notable celebrities who have made a home for these stunning diamonds right on their left hand. 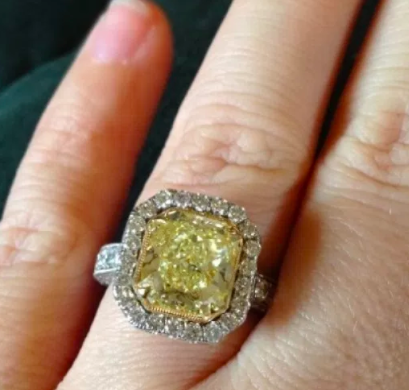 If you’re looking for something a bit less traditional that still packs a classy punch, these beautiful yellow diamonds might just be for you. There’s been a lot of debate around diamonds vs. lab made diamonds which is why we added some information about both to our FAQ page. This year, lab made rings are giving up their 15 minutes of fame and rightfully so. Couples looking to symbolize their marriage in an engagement ring are not digging that fact that lab made diamonds are made 'in a matter of six weeks in a microwave, have no inherent value and most certainly won't be trending this year', according to Gemologist and Director at Pluczenik, Grant Mobley. From summer wine to fine metal and smartphone covers, Rosé or rose seems to be the go to color when it comes to choosing a setting for your engagement ring. Still falling into the gold category it offers a sense of nostalgia or tradition, combined with a little update. Rose gold is a classic choice that will surely stand the test of time. What are some of the top trends you hope to see in 2018?